Payments can be made with Personal Check, which requires 10 business day bank clearance, but money order is preferred. PA residents must pay 6% sales tax unless you have a valid resale number. We mail to the United States only. Purchaser is responsible for Priority Mail and Insurance Costs. 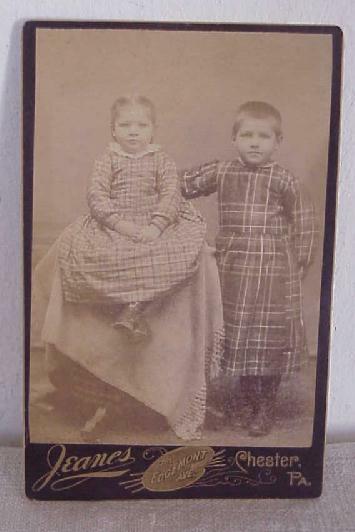 Children with Homespun dress’s ~ high button shoes .. Measures ~ 6 3/8” x a little over 4” ..